Chalkboards are one of the most used the things this days. They are used in parties to make invitations, write party theme related messages, etc. 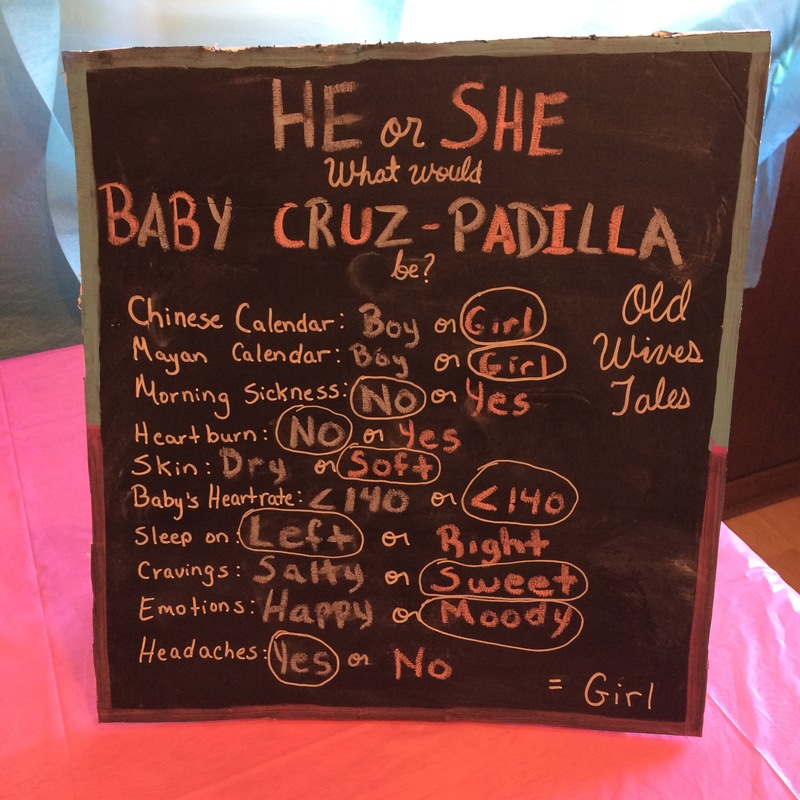 In this case, I made them to put some data in my sister in law’s Gender Reveal Party. 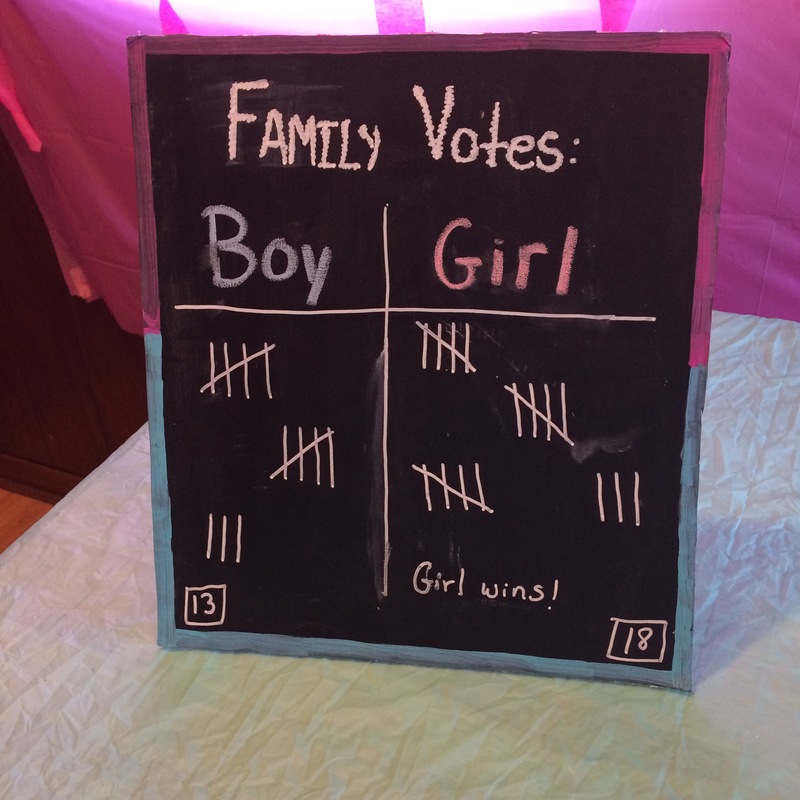 One of them I used to write the final results of a family poll that we did about who thinks is girl or boy. The other one to write baby’s gender in accordance with some Old Wives Tales. I must say that everything indicates it was a girl, but no, it is a boy! 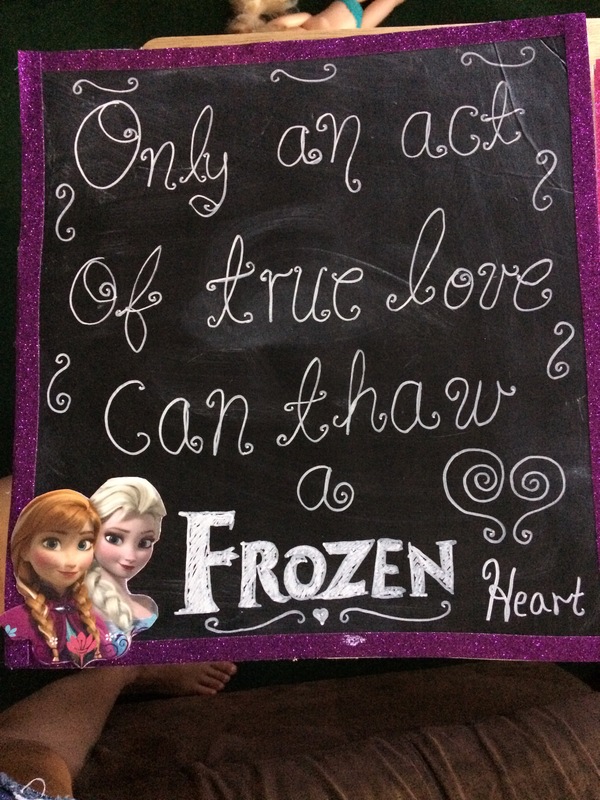 Anyway, today I’m going back o tell you how to do this easy chalkboards for your next party or to decorate the house. 1. Measure the foam board with a ruler and mark it with a pencil in accordance with the measures you want yours. Mine was 8″ x 10″. Cut it with the exacto knife. 2. Paint the foam board on one side with the chalk paint and the sponge roller. Wait 1 hr and paint again. 3. The worst part is waiting. Because after this last coat of paint, you have to let it cure for 24hrs. 4. After the 24 hrs have passed, the next step is coat the chalkboard with chalk. All of the painted part to conditioning it. Wipe it of with a damp cloth and your chalkboard is ready to use. Also you can put it in a frame or make one on it. In this case, I paint the borders with acrylic paint. Use your chalks or chalk marker to write the message you want! Isn’t it easy? And the result is cute! 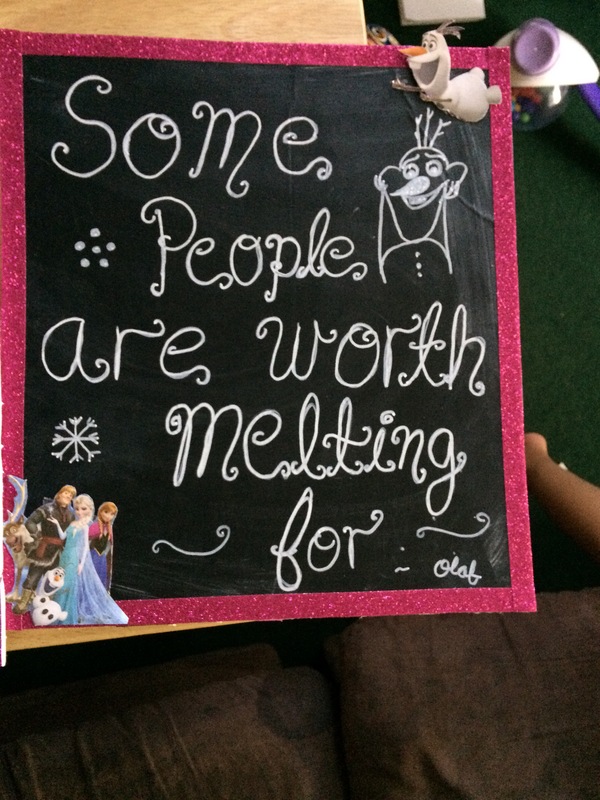 I put some glitter tape like a border instead of painting it and glued some Frozen characters that I cut from some play cards that I bought on Dollar Tree. I used the marker again because I like the fine point. But, normal chalk is good too. The decoration is on you!